If you are someone who works in an office or spends most of their day in front of a computer, then you need to have a proper chair to avoid back and neck pain as well as to maintain a good posture. 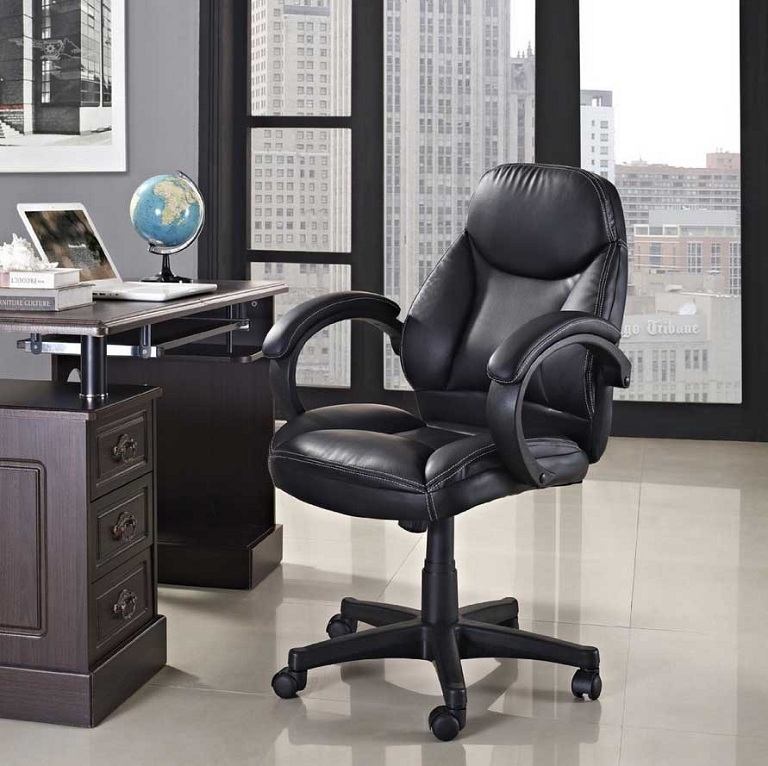 Today there are specially designed chairs that have adjustment features which make sitting for prolonged periods of time comfortable and bearable. Nevertheless, there are a couple considerations to bear in mind before you make the final purchase. First and foremost, the chair needs to be ergonomic, meaning, it has to perfectly fit your body and absorb your weight while providing a great posture. Ergonomic chairs are slightly more expensive than regular ones but there’s no price that can be put on health. You won’t experience as much shoulder and neck pain, and your knees and feet will be positioned comfortably, reducing numbness in the legs. Furthermore, to avoid leg numbness you need to make sure the height of the chair is adjustable. Some chairs, however, don’t have adjustable height, so if you are the only one using that particular chair, make sure its height is right for you. Your feet should be flat on the floor at all times while sitting. Your thighs should be also parallel to the floor just like your arms should be parallel to the desk. One of the most neglected aspects in the whole process of buying a chair is the position of the eyes in regard to the height of the screen. The height of the chair should allow your eyes to stare straight forward into the center of the computer screen. If the eye glaze is lower or higher than that, it will cause strain on the upper spine. Also, ergonomic chairs should have an excellent lumbar support. The back has a natural inward curve and badly designed chairs will cause that curve to straighten. Making sure your chair helps maintain that curve is the key to staying strong, healthy and productive. Having a cushion where your lower back starts is of utmost importance so that you prevent slouching. It’s very important to tick all of the aforementioned things before deciding to purchase an office chair for the sake of your health and productivity. Being comfortable while working will allow you to get the work done faster and it won’t tire you that much, keeping you full of energy after the working hours are over.